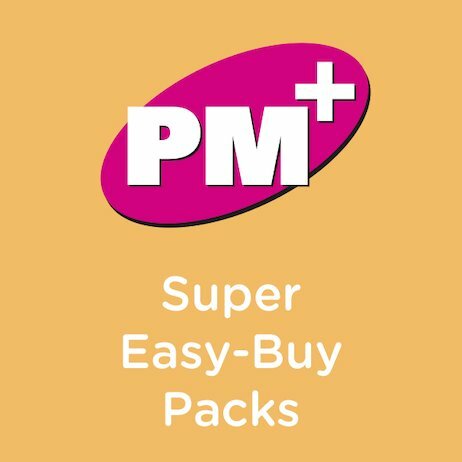 This money-saving Super Easy-Buy Pack contains six copies of every title in the PM+ Storybook and Non-fiction strands (6×293 books; 1758 books in total). PM+ Storybooks feature a classic story structure with tension, climax and resolution to engage young readers. The books have been written using carefully selected vocabulary to ensure children experience reading success. For children who prefer to read non-fiction texts, the PM+ Non-fiction titles offer carefully researched information thematically linked to key learning areas. The texts are supported with superb photography and realistic illustrations.